Shifting demographics, spiking diversity and disruptive technologies are forcing traditional institutions and existing power structures to rethink their value AND values. Yet, against our better judgment, we also seem to be making our world poorer, meaner and hotter. I intend the opposite for my children and for my students. And I will use the two strategies in which I have most invested my entire professional life — content and connectivity — to do something about it. An amazingly effective vehicle for these 21st century life skills? 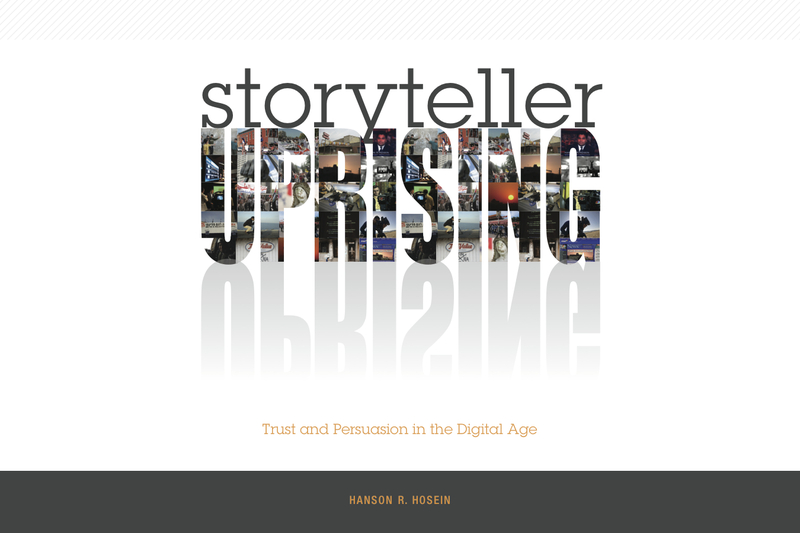 Digital storytelling as media-making that sparks change within communities. Beyond Four Peaks, it’s something that I advocate loudly and publicly in everything I do. It ranges from the remarkable masterclass we recently held in partnership with leaders from Facebook and Amazon on the future of empathy-fueled content “beyond the screen,” to the company-wide keynote I delivered to startup RealSelf on story and trusted communication. (2) The relentlessness of globalization and technology have made us anxious and angry about our jobs and sense of self. We seek solace within like-minded tribes. Social media algorithms only make that kind of grouping easier. So I’m grateful that I’m increasingly asked to serve as an in-person interlocutor to physically convene people around a different way to think about intractable problems. I did so when I hosted the annual fundraising breakfast for “green economy” non-profit Climate Solutions (we blew past our financial targets). It’s why I serve on the board of the Seattle Chamber of Commerce as strive to manage the pressures of one of the fastest growing cities in the country. And in my growing role with the Nippon Foundation-funded Nereus ocean health program, I’m the non-scientist who is now called upon to emcee their global conference in Tokyo this summer. I believe that the “social contract” we implicitly made with each other has been breached over the last few decades. My closest colleagues at the University of Washington in Seattle and I want to inspire people to come together and tackle our larger human-centric challenges. And maybe by doing so, we can all learn to live better together again. I’m wanting to explore this blog to better understand your thinking and vision…but you are playing at the intersection of current reality, innovation, a world of possibilities and hope…a space where I (and I assume many others) want to play and make a real impact. Looking forward to sharing this journey with you.